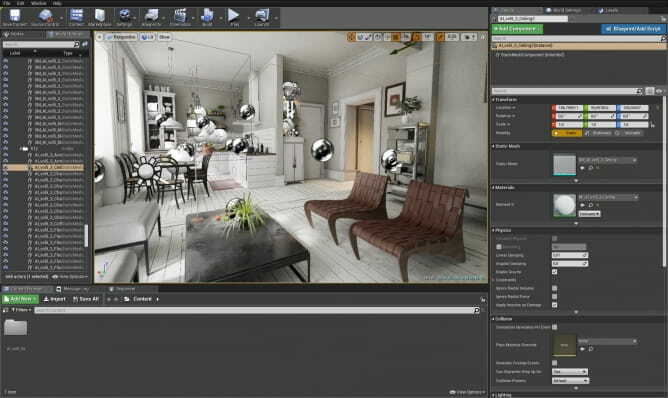 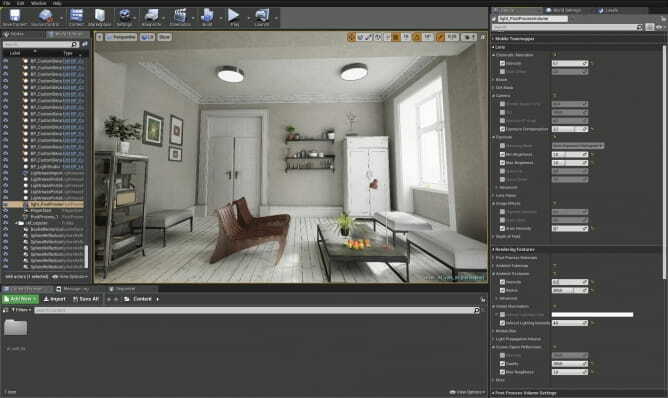 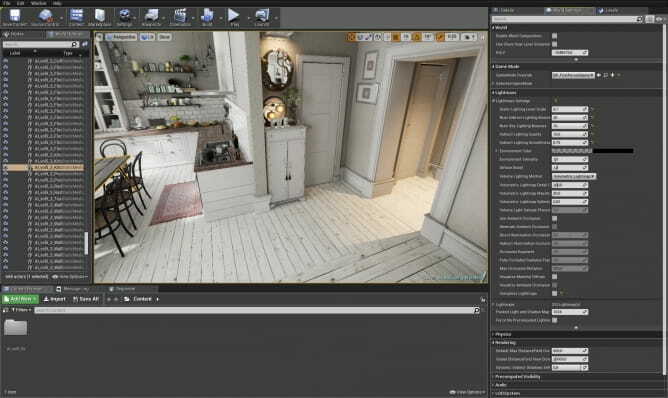 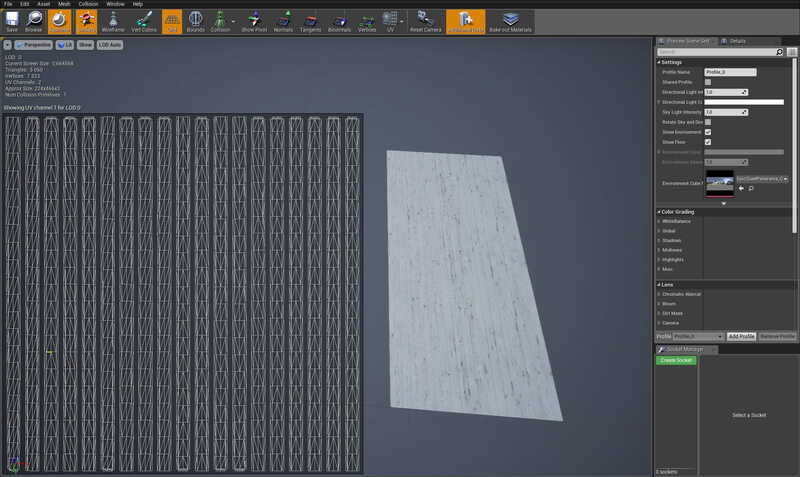 This scene comes from Archinteriors for Unreal engine vol. 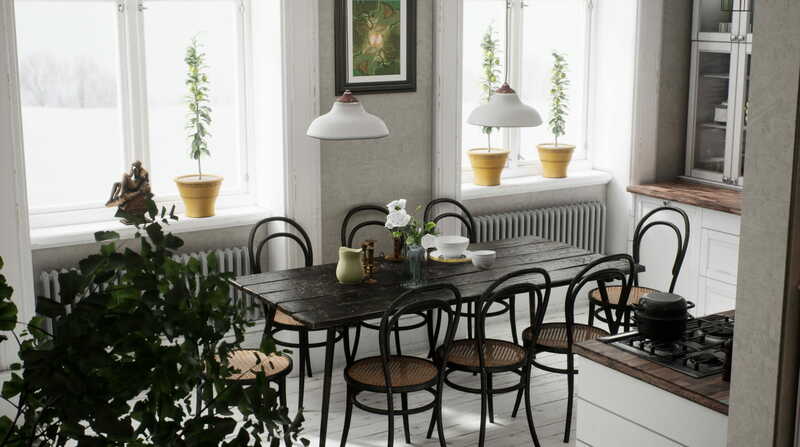 5 collection, our latest collection of loft and home interiors for Unreal Engine 4. 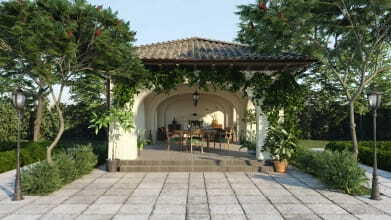 Collection consists of five scenes. 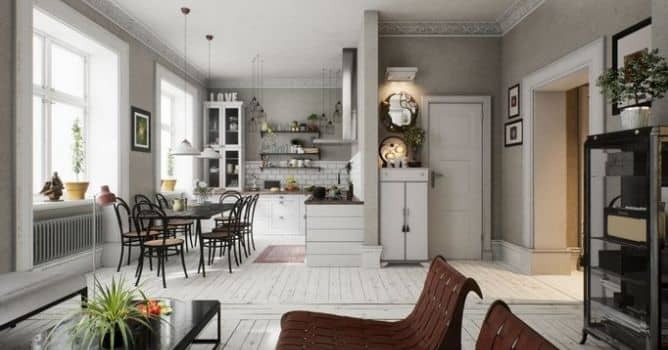 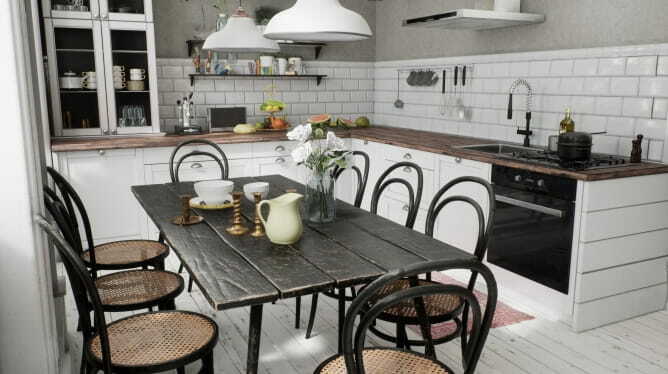 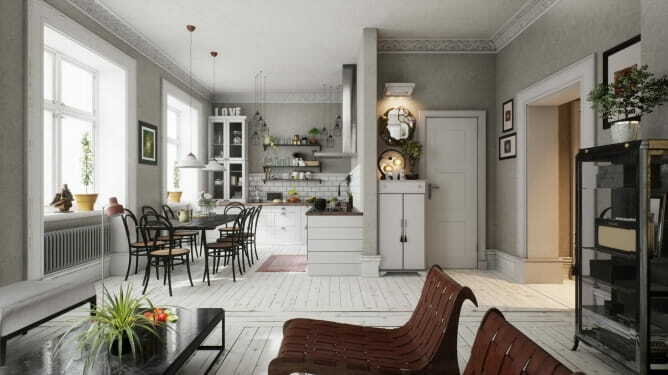 It's gray kitchen in scandinavian style. 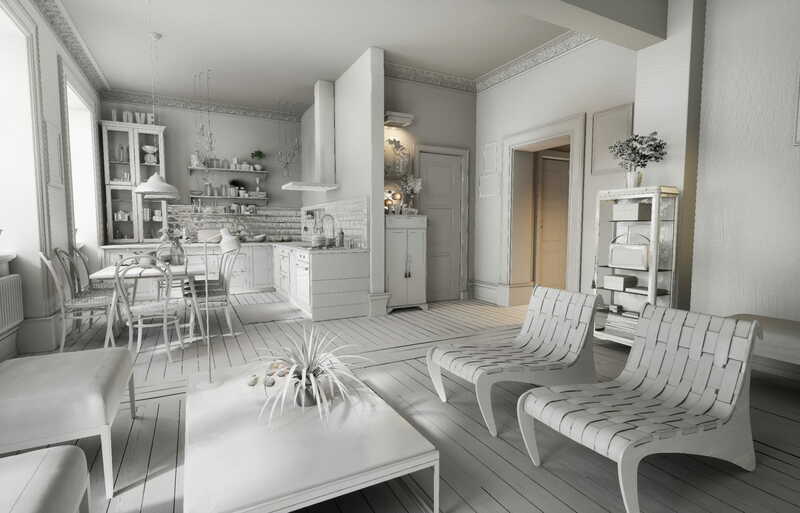 Our interior is surrounded by Lightmass Importance Volume (LIV) and Post-Processing Volume (PPV). 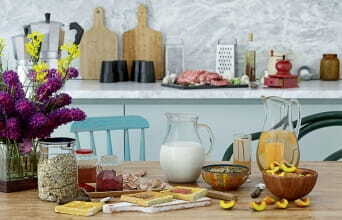 LIV is used for speeding up light baking process, it focuses only on elements that are inside it, ignoring the rest. 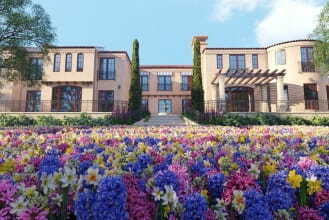 PPV is used for color grading and post-production. 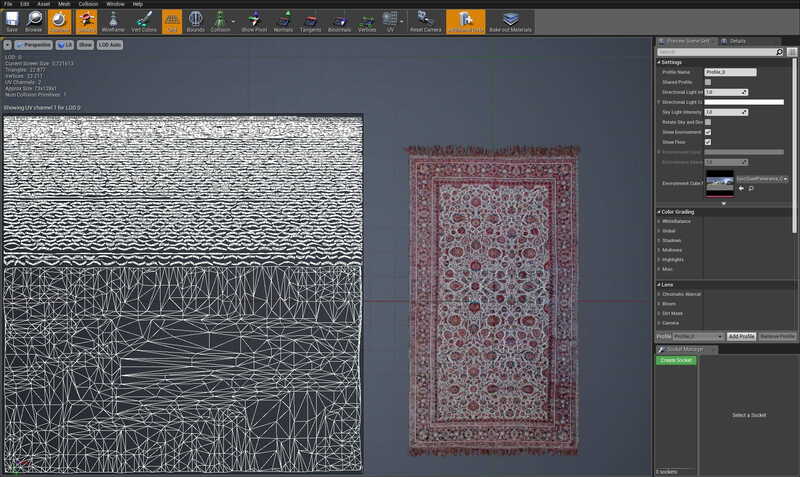 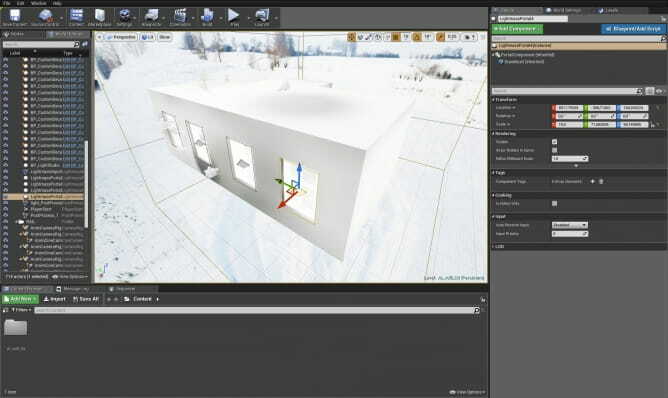 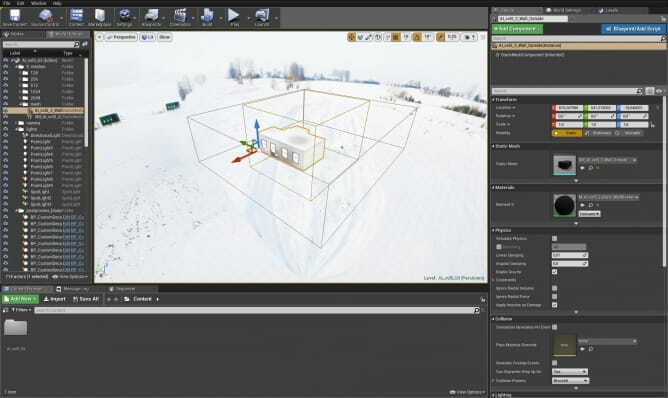 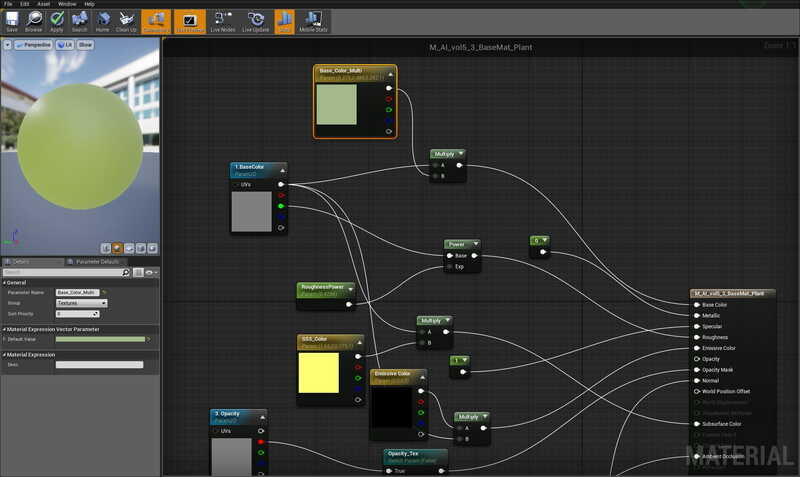 Lightmass Portals in windows work similarly to Light Portals in 3ds Max - they speed up rendering process. 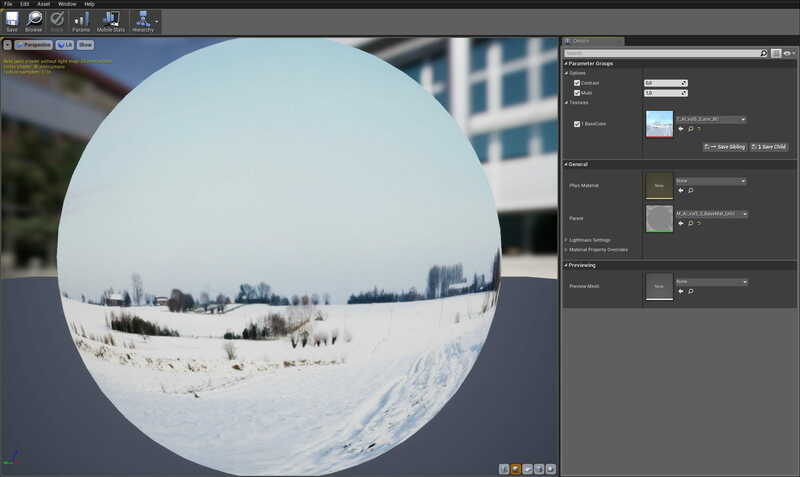 View from viewport. Reflection Capture Spheres were placed according to taste, to achieve best looking reflections on nearby surfaces. 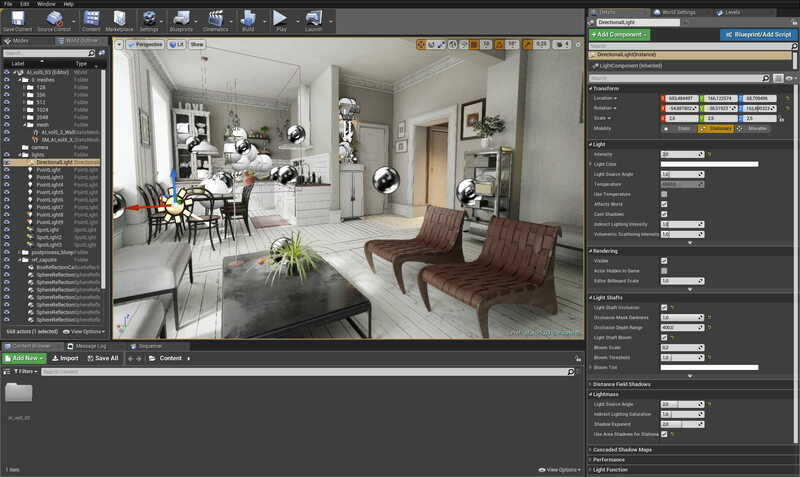 Environment was projected onto an editor sphere - an asset that can be found in "Engine Content" folder. Directional Light settings. Not many things altered: we enabled bloom and light shaft occlussion and increased Light Source Angle to get softer shadows. 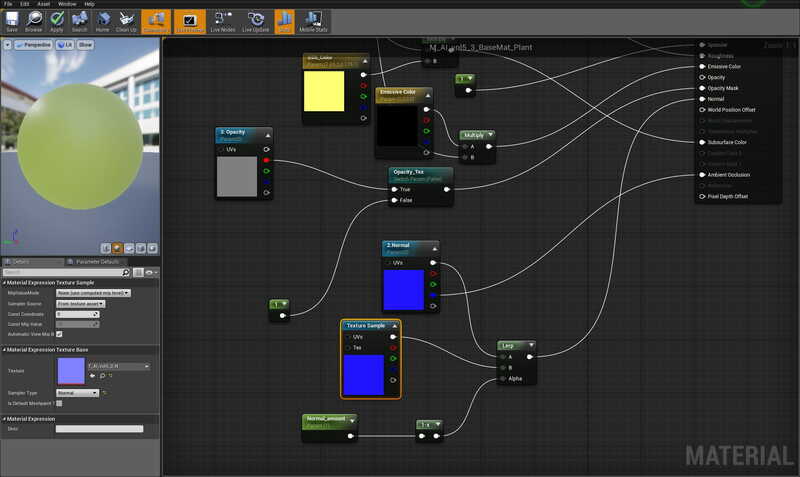 Lightmass settings - those are cranked up pretty high, so you may need to change them if your baking times are to long. 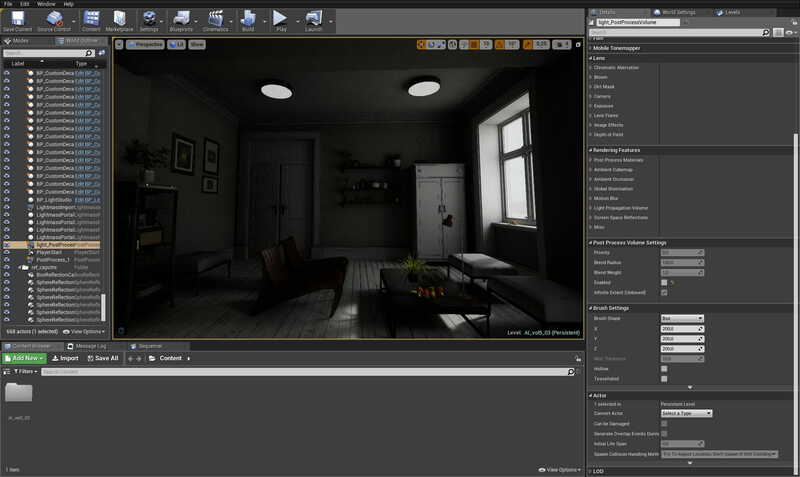 Increasing Static Lighting Level Scale and decreasing Indirect Lighting Quality will help the most if it comes to speed of baking lightmaps, but, of course - the quality will be lower. 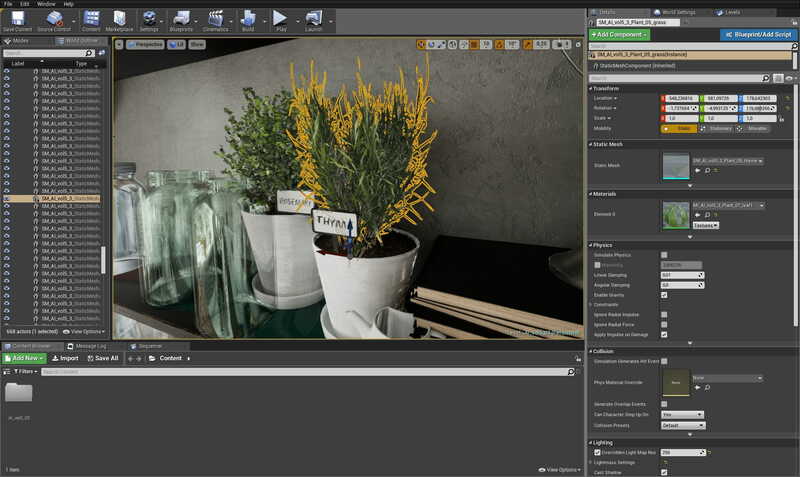 We placed some plants here and recreated materials in engine. 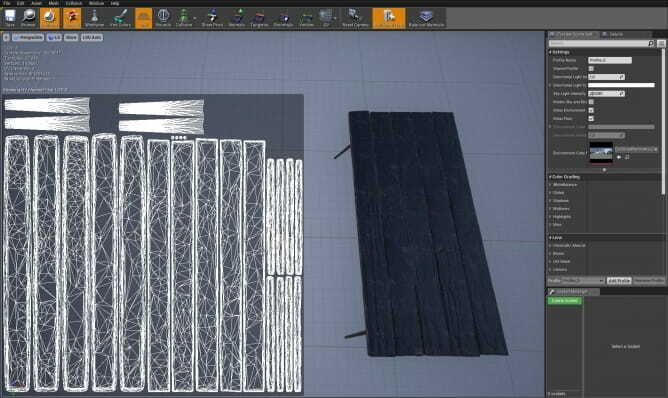 This material is an instance of our plant Base Material. 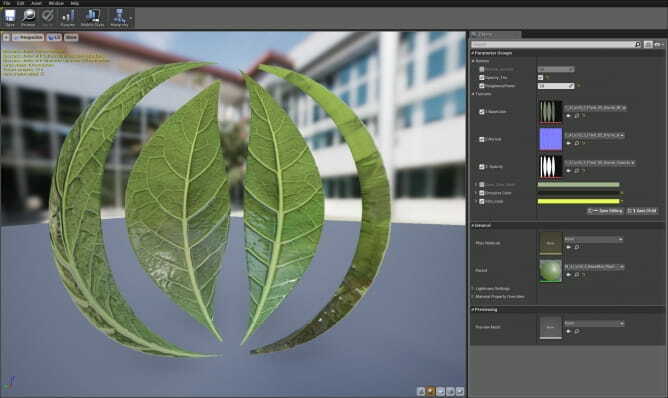 Our plant material has base color, multiplied with the other one (which is needed for example for leaf veins), we also use subsurface scattering and opacity mask. If you wonder how much impact for the final look can come from Post-Processing Volume, here is an example: Post Processing Volume is disabled. ...and now it is enabled: the most light comes with "Indirect Lighting Intensity" increased to 4,0.